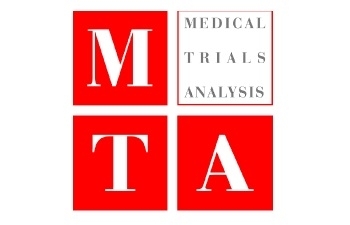 MTA is mostly devoted to the coordination of clinical trials related activities across several countries including EU countries, Balkan countries (Serbia, Montenegro, Bosnia, Macedonia), Turkey, former Soviet Union countries (Armenia, Georgia, Belarus, Kazakhstan), Russia, China, Canada, Central and Latin America countries (Mexico, Perù, Argentina, Brazil). Please refer to the enclosed presentation for the comprehensive list of countries where we are currently active. MTA Italy is registered at AIFA (Italian Competent Authority for medicaments) as fully accredited CRO according to the current local requirements and it is operating nationwide. MTA team is able to provide a full range of services (encompassing market access strategic planning, regulatory and operational activities, post marketing assistance) related to medical products development in the EU countries. Based on consolidated partnerships with local resident companies, MTA assures the same range of services in all the other countries by managing local highly qualified professionals fully familiar with the local requirements, the regulatory specificities and the health system peculiarities. All the above is not limited to "classical" pharmaceutical products but it is also referring to medical devices, nutraceutics and probiotics. Over the time MTA has gained relevant experience in generic drug marketing authorisation, medical device registrations or variations of authorised application, nutraceuticals and probiotics marketing authorisation. The therapeutic areas where MTA is more active are the cardiovascular, oncology, gastroenterology and neurology as you can see in the enclosed document. Thanks to its academic roots, MTA encompasses very highly educated staff with diversified backgrounds (pharmacologist, biochemistry, biotechnologist, clinical pathologist, cardiologist, oncologist, endocrinologist....) and can count on the support of world known KOLs in all the therapeutic areas of activity. This allows to guarantee the choice of the most appropriate MTA referent for any kind of project proposed by a Sponsor and to assure the most qualified revision and advice for any project. "Pianificazione, gestione, coordinamento e monitoraggio di sperimentazioni cliniche a livello nazionale e internazionale"
"Planning, management, coordination and monitoring of national and international clinical trials"
"Progettazione ed erogazione di corsi di formazione nel campo della ricerca clinica, scientifico, sanitario e farmacologico." "Development and provision of educational courses concerning clinical research, scientifica, healthcare and pharmaceutical fields"